I'm David from Norway. 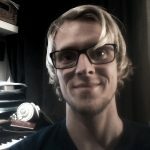 I would love to help you finding your sound and the perfect track for your new musical idea. I have experience with producing, arranging and making soundtracks for different songs. I have my background with orchestral music, and have also experience with different genres and sounds. I'm happy to work with you on your next project.